Twelve hours ago iPhone 7 and iPhone 7 Plus pre-orders launched in Canada and other first-wave launch countries. Some of your orders have already moved past the “processing items” stage and into “Preparing for shipment”, to get ready for next week’s September 16th launch. Last night, those looking to order Jet Black iPhone 7 and iPhone 7 Plus faced initial orders selling out immediately. 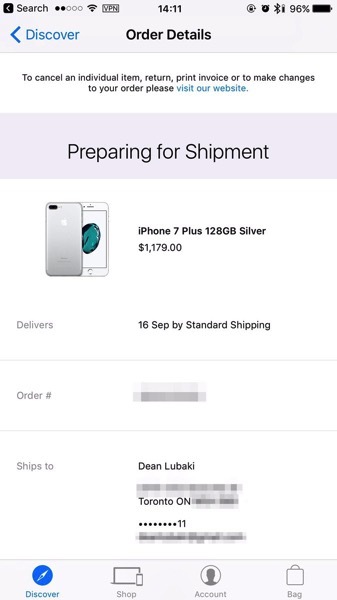 Our 128GB Jet Black iPhone Plus pre-order, despite being placed at 12:03AM PDT, received a shipping period of 1-2 weeks, with dates of September 27 to October 4. In the past, these shipping times have been inflated by Apple, so let’s hope that’s the case this time again. Currently, iPhone 7 in Jet Black is looking at ship times of 3-4 weeks, while iPhone 7 Plus in Jet Black has a ship time of November. Heck, if you’re going to wait until November, you may as well wait for ‘iPhone 8’! Do note that Reserve & Pickup is available for iPhone 7 and iPhone 7 Plus. You will need to go through the Apple Store iOS app to access the reservation page in Safari, though. 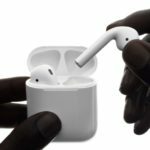 What Happens if Your AirPods Get Lost or Stolen?